Here at SoapBox, we’re all about making it fun and easy for managers to have amazing one-on-ones and team meetings. Now, we’re taking things to the next level with our latest offering: SoapBox Pro! Make accountability a habit: Next Steps are visible to everyone in the agenda, so it’s clear what needs to be done. You also can’t close agenda items until all action items are complete. Stay organized: Assign Next Steps deadlines, so that nothing falls through the cracks. Plus, each person’s Next Steps are listed on their Today page so they always have a to-do list! 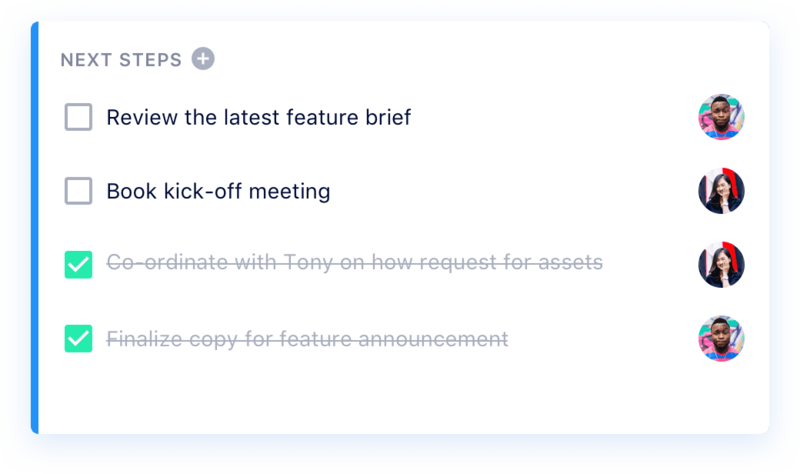 Next Steps are simple and easy to use: simply open any agenda item, click “Add Next Steps” and enter the action item, assignee and deadline! Prominent deadlines: A clear timeline gives the team a sense of urgency. Commenting: Your team can give context on their idea, and others can collaborate. Anonymous voting: Team members can upvote and downvote ideas. Easy-to-access archives: All previously-launched Discussions on this topic will live directly below the current one, so you never lose an idea. Sign up for free (no credit card required) and get 14 days to try out our Pro features! What happened to your free plan?! Don’t worry: our basic plan is still free and always will be! Use SoapBox Basic as a central place for all your meeting agendas and notes. But when you’re ready to supercharge your meetings (and your management!) SoapBox Pro is here to help! What does SoapBox Pro cost? SoapBox Pro will start at $8 per month, per user, for an annual plan. Monthly plans are also available. More info is available on our pricing page. Can I give SoapBox Pro a try before I start paying? I ❤️ these Pro features! How do I upgrade? Log into your SoapBox via the web app, click on your account info in the top right corner of your screen, and click “Billing.” You can also click any of the “Upgrade Now” buttons located at the top of your screen or on the Today page. Don’t worry – we won’t hold your Next Steps hostage! They’ll still be visible, but you won’t be able to assign people or due dates to existing Next Steps – and you won’t be able to add new ones. 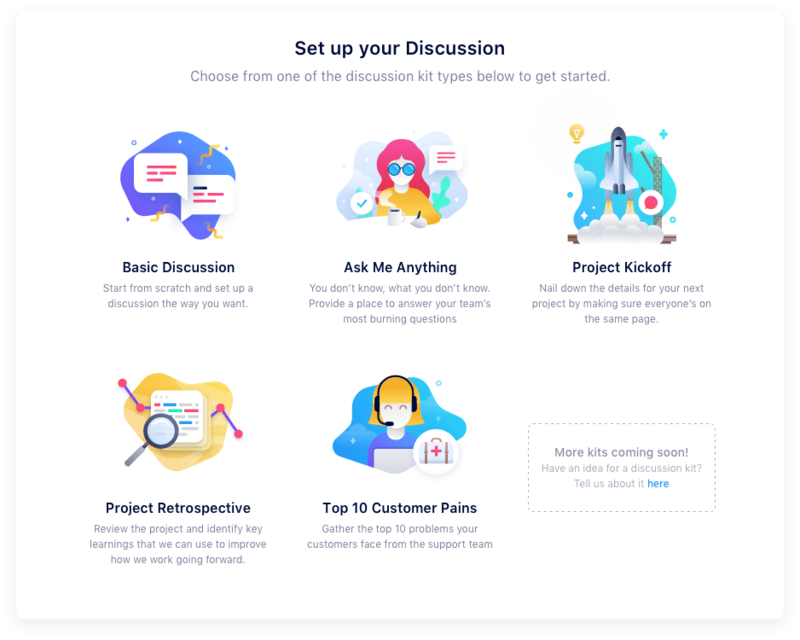 And you will still be able to access all the free features of SoapBox, including one-on-one and team meeting agendas, meeting notes and more.